It has been confirmed by Terry Partridge that he is now the owner of L401VCV, Western National's first Dennis Dart, new as 401. It remains to be seen what livery it gets painted into but it would be great to see the original Flags and Badger livery again. 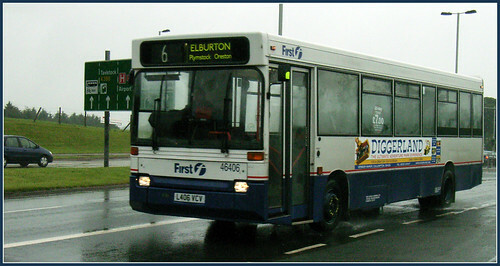 I couldnt find a photo of L401VCV tonight but so I post sister bus L406VCV still in service in Plymouth back in May 2005.